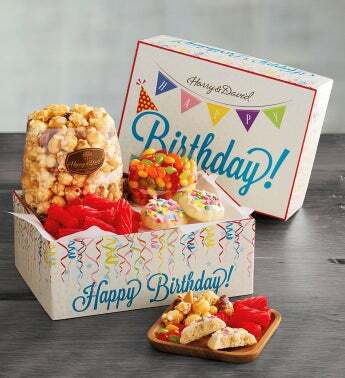 Wish someone special a fantastic birthday with a sweet assortment of delicious gourmet treats. 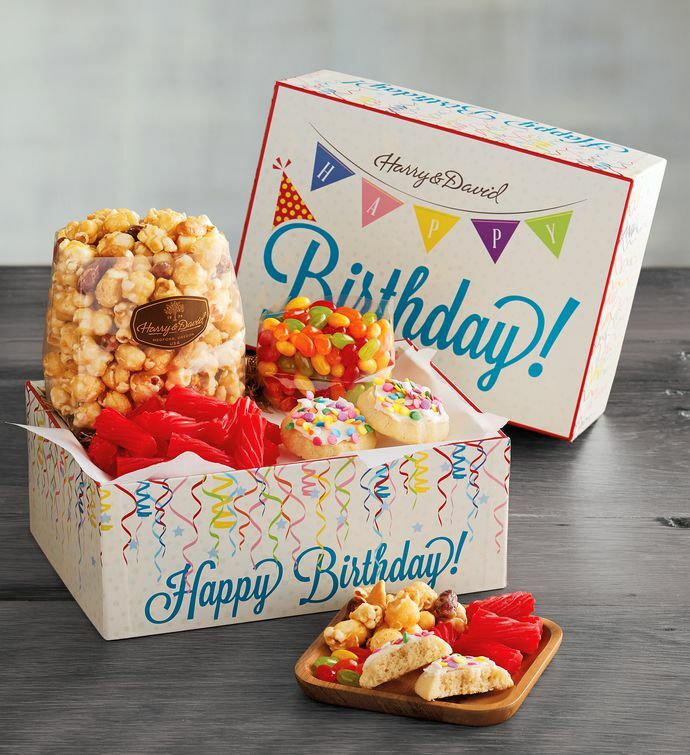 The Birthday Sweets Gift Box is overflowing with fun and festive delights, like Moose Munch® Gourmet Popcorn and vanilla shortbread cookies covered in candy confetti. The bright and colorful message says it all: Happy Birthday!